EVGA has announced the availability of its first Universal CPU Cooler “EVGA Superclock” which supports the latest CPU sockets such as LGA 775, 1155, 1156, 1366 and AM3/AM2. The Cooler comes with a Sleek Black design and Red colored LED fan which looks good on similar EVGA base motherboards. The heatsink is equipped with 5 8mm heatpipes featuring an offset layout for better thermal dissipation carrying heat to the large aluminium fin block. 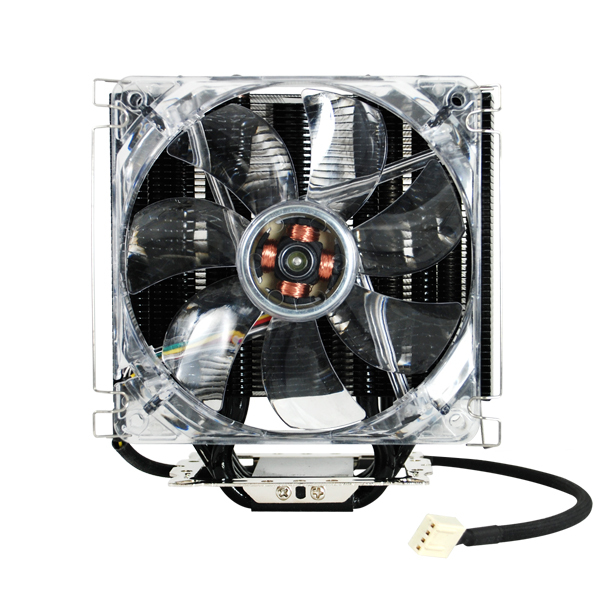 There are small places between the fins with the edges covered which allows the heatsink to carry heat off through the airflow provided by the 120mm fan with 750-2500 RPM, 26-84 CFM, The fan is PWM controlled. 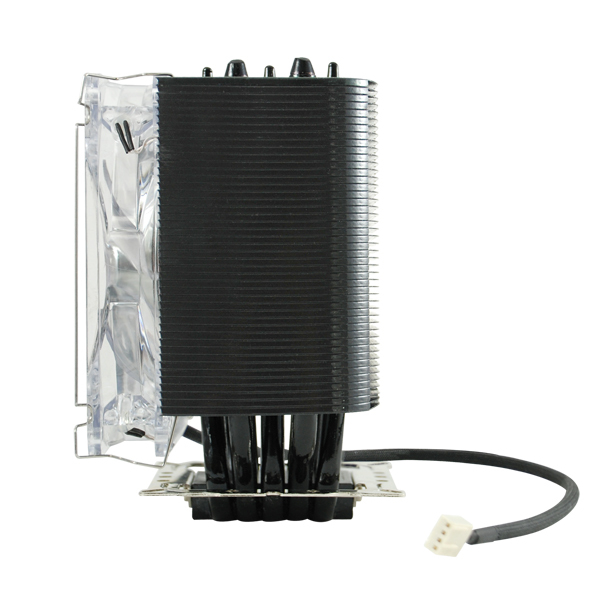 When compared to a Stock CPU cooler, EVGA Superclock offers upto 20C lesser temps than stock solutions. The “EVGA Superclock is bundled with essential accessories such as mounting tools and Thermal paste. Its Available for 49.99$ here.